Cloud eggs or eggs nests, whatever you call them they are a delightful way to prepare eggs! You basically whip up the egg whites, form cloud or nest shapes with the whipped egg whites, and plop the egg yolk in the center, and bake. Oh yes, and some grated cheese is folded into the whipped egg whites. More cheesy structure for the nest. 3 ingredients—egg, salt, and cheese. The hardest part is whipping the egg white. And the result? We love it! or “Cooking is Child’s Play” (English translation 1965). It’s a fun book if you can find a copy, filled with classic French recipes like quiche Lorraine and coq au vin with playful illustrations by Jean Cocteau. 6 Bake: Place in the 450°F (230°C) oven for 3 minutes. After 3 minutes, open the oven, pull out the rack with the egg white nests, and gently add an egg yolk to the center of each nest. Return the baking sheet to the oven and cook for 3 more minutes. Hello! All photos and content are copyright protected. Please do not use our photos without prior written permission. If you wish to republish this recipe, please rewrite the recipe in your own unique words and link back to Cloud Eggs (Egg Nests) on Simply Recipes. Thank you! I’ve been wanting to make these for a while now. So much that I bought new beaters so I could they look beautiful but I found the whites to be a little tough. I like being able to cut eggs with fork instead of needing a knife. Did anyone else find that. Or did I do something wrong. They look perfect. Hi Rochelle, the egg whites beat up into a light and airy cloud that when you bake, become rather firm. So yes, you would use a knife to cut. BUWAHAHAHAHAHA!!!! Thanks Terra, I seriously needed a laugh. Hi Lori, instead of adding the yolks to the whites after 3 minutes of baking, place the yolks on the whipped whites at the start. Made these 46 years ago at manual training! Always a favourite of mine. Can bake in oven with 2 slices of bread together with hole in top piece for yolk to sit in. Just made this recipe for breakfast. My husband loved it! I served each egg on a piece of buttered wheat toast. Next time will add a thin slice of ham, as another reviewer suggested. Be sure to make a deep and level well in the whipped egg whites. Otherwise the yolks will slip out on to the baking pan. I found that the whites continue to puff even after the yolks are added, so two of my three yolks slipped off the whites. Still edible, just not as pretty. 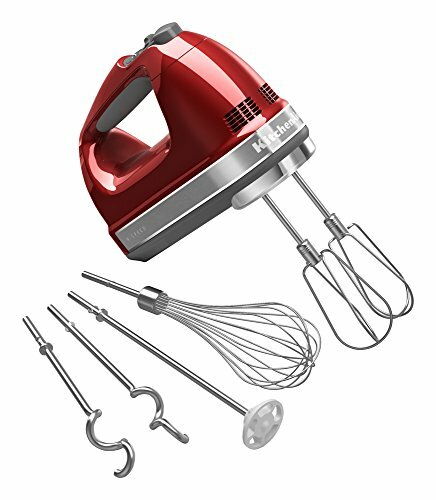 Has anyone ever tried to use a “Bullet” blender to make the meringue with success?? Just made these. They were awesome. I used shredded cheese I already had on hand. Looking forward to playing with this recipe soon. Someone may have previously asked, but can you let me know what you use to line the pan and where it can be purchased? Hi Leba, that’s a silicone baking sheet liner. Do a google search for Silpat. What a great idea Erin, thanks for sharing! When I was a little boy my mom (who learned from her mom) used to “help me” make, what she called “Birdy Eggs”. I say ‘help’ cuz this was as much being able to help your mom, maybe for your dad, as it was an intro to cooking..& So Simple: Just Soft-cook an egg (poaching is best) & lightly toast 1-2 slices of bread- then into a large mug (best cuz of handle) breakup toast (fun for kids as they rarely get to take their food apart- except like when u do it to put out for the birds) – put into mug. Then add egg over pieces of toast- mix it up a bit. That’s it -good for finicky egg-eaters & as my mom told me later..a good way to help teach me to be ‘self-sufficient’. My mom made Birdie eggs too, you pat made me smile; thank you! I have just this moment tried making these and the meringue turned out to be a little…undercooked? The outside was sort of chewy like meringue but the inside had the consistency of uncooked meringue. I’m not sure if I baked it for long enough or if I whipped the whites properly. All in all though, the idea is fantastic and I’m sure next time I’ll get it right. Sounds like it needed to be cooked a little longer. My mother made eggs in a nest back in the 30’s. She toasted the bread and put a thin slice of ham on it and placed the whipped egg white on the ham with the yoke in the nest and baked it in the oven. It was a tasty breakfast, lunch or light supper. This looks like a fun recipe…a fun way to separate the yokes from the eggs that kids will love is this: Use a clean empty water bottle, lid removed, crack all of your eggs into a bowl, gently squeeze the sides of the water bottle, touch the opening to the yoke and watch the yoke jump into the bottle…then when your ready to put them on the whites again simply tip the bottle over to where you want the yoke and give it a gentle squeeze and the yoke will come right out! Kids love this little trick and this is the perfect recipe for it…plus just makes it so much easier! Can we just whisk the egg whites if we don’t have a mixer? Yes you can, if you have strong arms! And be prepared, it takes several minutes of fast whisking. Make sure your bowl and whisk are spotless clean. Thanks for asking, ketty. I was wondering the same thing. I made these for breakfast this morning and they were amazing! My husband wants to know when I’m making them again. I LOVE this recipe! So glad to have come across this! We have friends coming to stay with us and all of my best breakfast recipes are sweet. Our friend has diabetes and that won’t do for him but this sure will! C’est super! My mom used to make these baked eggs for our family, but she used low-sided ramekins to bake and serve them in. Just did a search for this type and, sadly, they are very hard/impossible to find now. Glad I now have my mom’s dishes! Maybe find them at estate sales? You could use large scallop shells for an elegant look. Also, the higher you whip the egg whites, the more dramatic the effect.